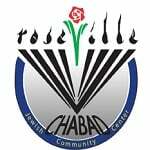 Community Shabbat Dinner RSVP - Chabad of Placer County, Where every Jew is Family! Join us for a 3 course gourmet Kosher Shabbat dinner, with wonderful company and great joy in true Shabbat spirit. Featuring: Spanish menu commemorating historic Spanish Jewry and Maimonides. Kabbalat Shabbat 6:00 PM - Dinner 6:30 PM at Chabad House - 4410 Douglas Blvd. Granite Bay. Yes, I would like to be a sponsor for this event- $180.